Building a Jarrett Bay boat is a dynamic process that combines your desires and experience with our expertise and drive for excellence. It starts by getting up close and personal with our design team. We’ll want to know how you intend to use the boat, where you expect to use it, and the number of crew & guests you typically have aboard. We’ll press you for details about what you might have liked about previous boats, as well as those features you may not have cared for. One of the things we’re very good at is helping you visualize your dreams, so this phase should be as easy as presenting us with your wish list that will ensure your Jarrett Bay is uniquely yours. As this is going on, we’ll be drawing sketches of boats and conceptions of individual features you may have mentioned. At this juncture we may draw on our experience in building boats for others, and suggest a layout and length that worked for other owners with similar needs. 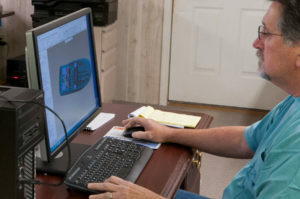 These are never identical, but if the fit is close, you can take advantage of our experience in building a similar layout and using the records from that build as a template to spec out your boat. Because many of the details were previously hammered out, we can provide you with a firmer price in line with what you set out to pay upon completion. You still get the speed, good looks, craftsmanship and attention to detail that Jarrett Bay is known for, but you’re not tasked with making literally hundreds of decisions involved in building a custom boat from a completely blank sheet of paper. Many customers choose this option for this reason alone. However, we are of course happy to “scratch-build” a boat just for you if preferred. The choice is yours. Throughout the process, you can rest assured that we will do our best to accommodate your desires, but we will never compromise your safety or the seaworthiness of your Jarrett Bay. We’ll let you know why we can’t or wont be able to do something should an issue arise. We will also help guide your design process by ensuring there is no undue complexity. Many production builders feel it necessary to incorporate elaborate systems, as these items make a boat look more appealing in a brochure. Often as not, these features, such as overly-complex fuel systems, are much more trouble than they are worth. We’ll be the first to tell you that a simple fuel manifold and sight tubes make more sense, for example, than a digitally-controlled fuel management system. Once the design and layout are decided upon, the full-force of our manpower and materials are brought to bear on your project, while every part and process undergoes methodical quality control with a keen eye kept on scheduling and the final price. You’ll be apprised of every step along the way, and invited to participate with as much additional input as you’d care to make. 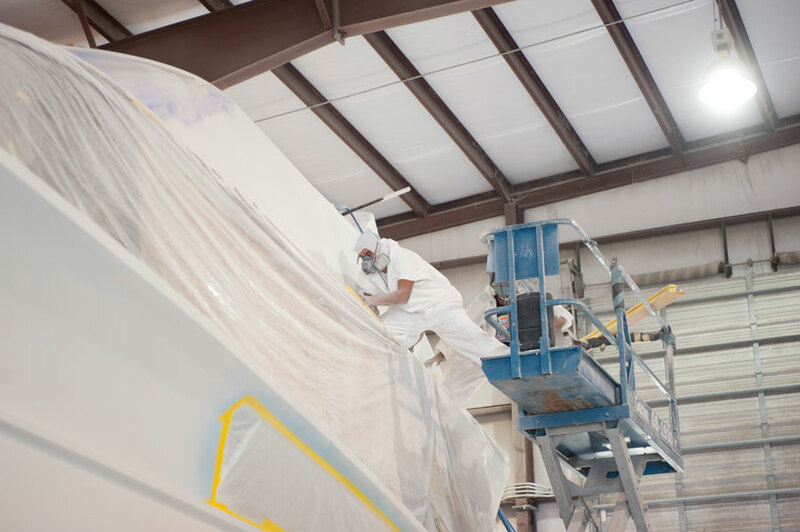 Jarrett Bay Boatworks has the ability and personnel to have as many as four boats under construction at one time, which cuts your delivery time considerably. Still, it can take 24 or more months from conception to completion of your Jarrett Bay, providing you with the opportunity to forge long-standing ties with the people who design and build your boat. Our family of designers and craftsmen take great pride in each build, and look forward to your becoming part of our family throughout the process. Want to learn more about the construction process? Follow along on our most recently completed build for in-depth descriptions and photos of the entire process!